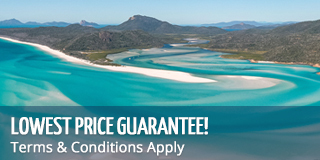 Whales migrate to the Whitsundays every year to visit us for the winter, typically staying from June - September. During this time, there are thousands of these majestic creatures that can spotted around the islands, enjoying the calm and sheltered waters. 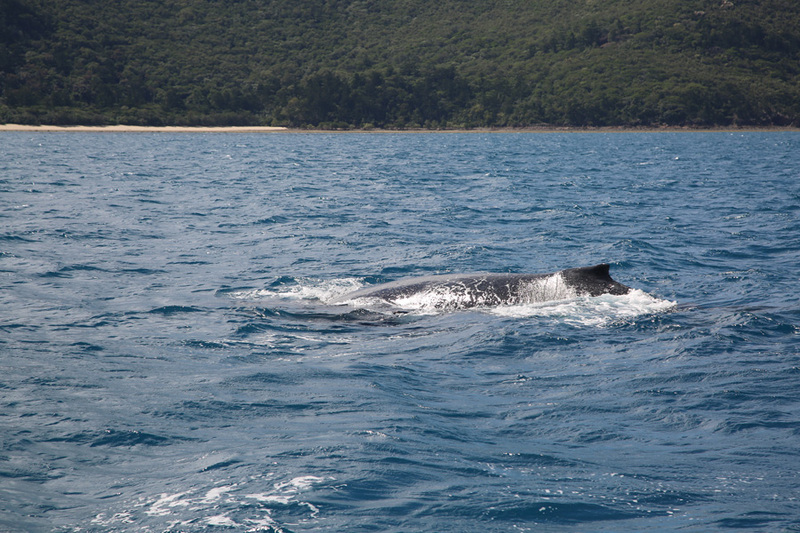 Whale sightings are often an extra bonus when enjoying sailing tours in the winter season. It's hard to miss these amazing creatures as they lazily swim around the warm waters, often accompanied by their calves or while looking for mates. Jetskiiers, sailors and even those taking the ferry to and from the islands, have been known to see these creatures up close, often putting off aerial shows, breaching, tail slapping of popping out of the water. Humpback whales, the primary type of whale that frequents the Great Barrier Reef Marine Park, choose to come to the waters around the Whitsundays to birth their calves, favouring the warm protected waters as a nursery for their young ones. Males too, migrate up the coast, looking for females to mate with before heading back down south. Visitors to the Whitsundays can often see the whales interacting with one another, either duelling it out for a mate, or swimming around with their newly born young. Often times, snorkellers and scuba divers say that they can hear the songs of the whales while they are underneath the water. Sweet songs that carry for kilometres are the way the whales communicate with one another, that we are privy to when down in their domain. They are often as curious as we humans are, and will often times venture close to boats, paddleboards and kayaks to see what's going on. However, there are strict protocols when it comes to interacting with these amazing mammals as they make their way around the islands. No boat or vessels are intentionally allowed within 300m of the whales, and if a whale does happen to cross a boat's path, engines have to be cut immediately or measures have to be taken to avoid hitting them to ensure the animal's safety and well being. There are also strict rules with how close aircraft are able to get to the whales. They must maintain a distance of 1000ft at all times and helicopters must stay 2000ft away. The Great Barrier Reef Marine Park Authority takes the health and wellbeing of its whales very seriously. Once very endangered, they are steadily on the rise, with more and more appearing in the Whitsundays each year.